Our school has always been taking initiatives to get the best talent in the sports areana. Many students have achieved in zonal level competition in athletic, chess etc. 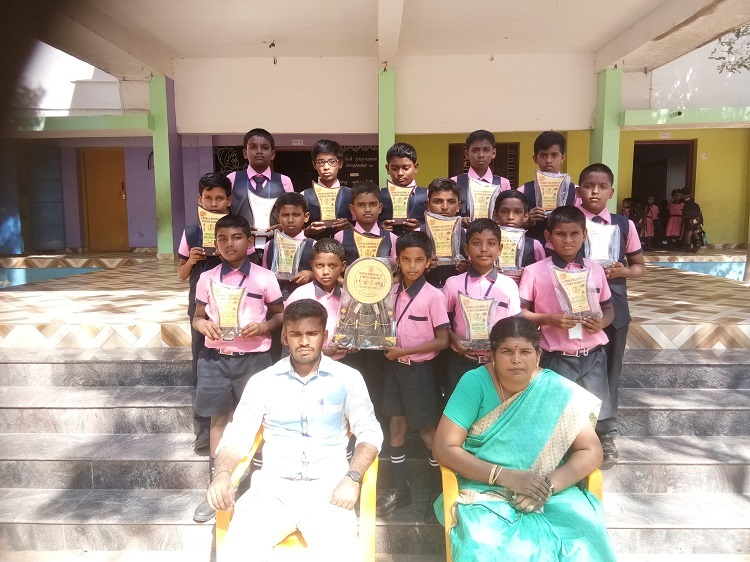 Our students MitulKartik of VIII Std and Ranjith ananth of VI Std were awarded many prizes for being talented in chess competitions. Our students also participated in state level competitions and National level competitions in chess, archery etc. They also got many prizes in Yoga and Archery competitions.